The Florida Manatee is a subspecies of the West Indian Manatee. Florida Manatees, (yours truly :-)) actually belong to the order Sirenia and are a subspecies of the West Indian manatee. 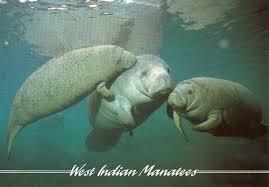 The other subspecies of the West Indian manatee is called the Antillean manatee. 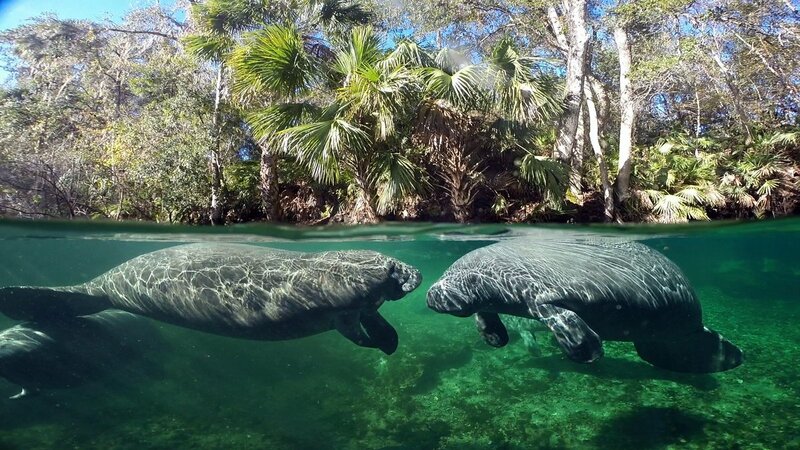 The United States is the only country where you’ll find the Florida manatee. And since some of us Florida manatees very much enjoy traveling adventures in the summer, here are the states you might find us visiting during these warm weather months; Alabama, Mississippi, Louisiana, Texas, Georgia, South Carolina, North Carolina, Virginia, Maryland, Delaware, New Jersey, New York, Connecticut, Rhode Island, and Massachusetts. The countries in which the Antillean manatee calls home include; the Bahamas, Belize, Brazil, Colombia, Costa Rica, Cuba, Dominican Republic, El Salvador, French Guiana, Guatemala, Guyana, Haiti, Honduras, Jamaica, Mexico, Nicaragua, Panama, Puerto Rico, Trinidad and Tobago, United States, U.S. Virgin Islands, Venezuela. As for the size of us West Indian manatees – well, we’re really BIG! Our average size is 8 to 10 feet long and our average weight is between 800 to 1,200 pounds. On rare occasions, we can grow to 13.5 feet and weigh in at 3,500 pounds! We have wrinkled skin and our color is gray. We’re usually seen with some green algae hitching a free ride on our backs because every 5 minutes, we surface for air and the sunlight lets the algae perform photosynthesis. Our large whale-like bodies taper down to a flat paddle shaped tail. We also have two forelimbs or flippers. And each flipper has three to four nails at its tip. It’s interesting to note other sirenians include; the Amazonian manatee, the West African manatee, the Dugong, and the Steller’s sea cow (now extinct). When looking at the Amazonian manatee, it is found along the Amazon River Basin. It is also a vegetarian like the West Indian manatee. A striking difference from the West Indian manatee is that the Amazonian manatee has no nails on its flippers. It is also smaller in size when compared to the West Indian manatee with an average length of 9 feet. Its average weight is between 770 to 1,100 pounds. The West African manatee is also a vegetarian. It’s actually the least researched and least known of the four remaining manatee species existing today. However, it has many similarities to the West Indian manatee. It can found along the west African coast in the countries of; Angola, Benin, Cameroon, Chad, Congo, Ivory Coast, Equatorial Guinea, Gabon, Gambia, Ghana, Guinea, Guinea-Bissau, Liberia, Mali, Mauritania, Nigeria, Senegal, Sierra Leone and Togo. Its average length is 10 to 13 feet. And its average weight is just less than 1,100 pounds. 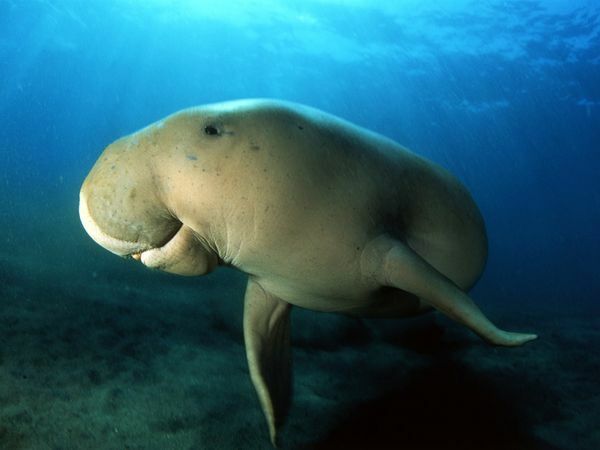 The Dugong is related to its manatee cousin. Once again, it is a vegetarian and can be found in warm coastal waters from East Africa to Australia. These waters include the Red Sea, Indian Ocean, and the Pacific Ocean. 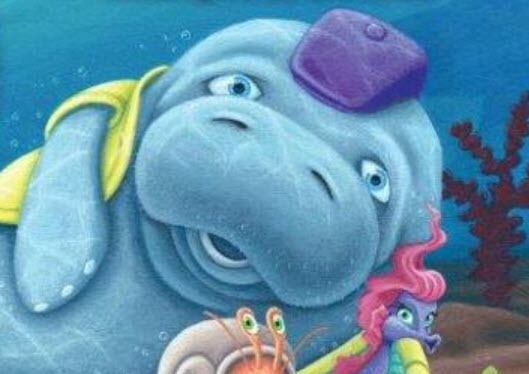 The main difference between dugongs and manatees is that the dugong’s tail is fluked, just like a whale’s tail. Its average length is 8 to 10 feet. And its average weight is 510 to 1,100 pounds. The Steller’s Sea Cow became extinct in 1768 because of over hunting. It was in 1741, Georg Wilhelm Steller, a naturalist from Germany, discovered the Steller’s sea cow, which is now extinct. Steller was part of a ship expedition to map the coast of Alaska. A storm wrecked their ship and crew. As a result, Captain Bering and the St. Peter were stranded on an island. They stayed alive by eating the meat of the enormous sea cow and rebuilt the ship. They finally sailed home to Kamchatka in 1742. The Steller’s sea cow was incredibly huge! Its length was between 24 to 30 feet and it weighed up to 10 tons! 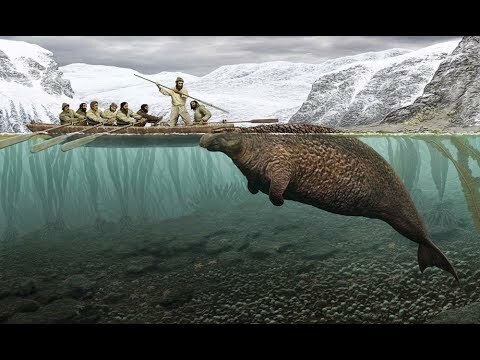 The Steller’s sea cow became extinct in 1768 from hunting. Today, scientists believe the Steller’s sea cow once lived around the Pacific Rim from Baja to Japan. Stay tuned for more manatee facts coming up in a future blog!